After more than half a century together, the Rolling Stones have created a body of work that does indeed tell their story. 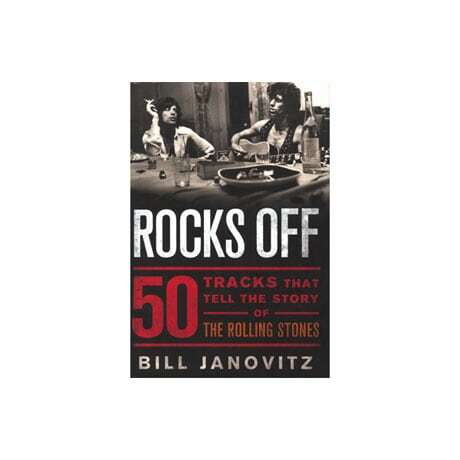 A musician and a Stones fanatic, Bill Janovitz cherry picks and tells the tales behind 50 tracks from the band's career—both certified classics and deep cuts—adding his own insights and pertinent quotations from the band to a vast assemblage of anecdotes and rumors. You might as well admit that you wanted to know what Mick and company meant in "Sympathy for the Devil," "Brown Sugar," "Jumpin' Jack Flash," "Ruby Tuesday," and "Gimme Shelter." Other songs discussed here include "Wild Horses," "Paint It Black," "Happy," and "You Can't Always Get What You Want."